How to use Schema Markup so that your site can be easily found by search engines is a common question among many people.In this article you will learn how to use schema markup to boost your SEO. 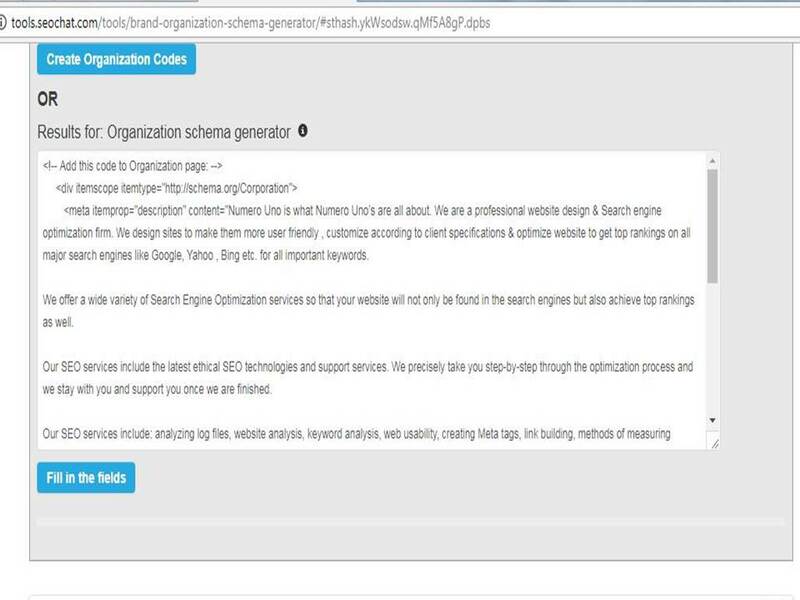 Schema Markup refers to micro-data or semantic vocabulary of tags which you can insert to your HTML in order to improve the manner in which search engines read and represent your page in SERPs. 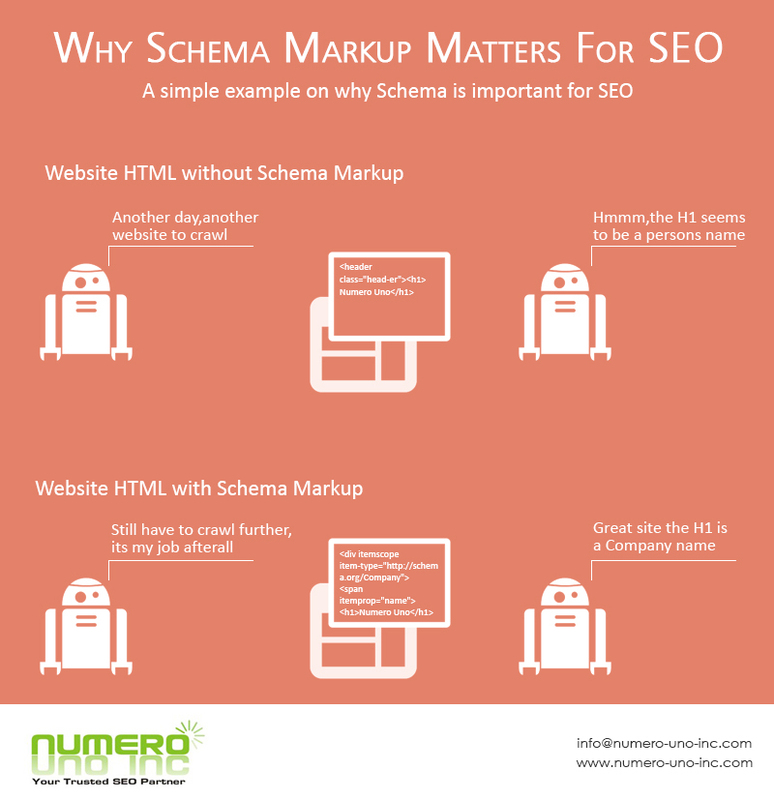 One of the newest developments in SEO is named schema markup. This new kind of optimization is one of the greatest powerful, but is not used widely as a form of SEO available today. Once you the gain understanding regarding the concept and method of schema markup, you can easily lift your website in the search engine result pages (SERPs). The schema markup informed the SERP to show a schedule of upcoming hotel events. Which, for the user, is remarkably helpful. Structured data & Linked data are terms which are closely related to Schema Markup. In computing, linked data (often capitalized as Linked Data) is a technique of publishing structured data in order so that it can be interlinked and turn into more useful through semantic queries. It forms upon standard Web technologies like HTTP, RDF and URIs, but instead of using them to serve web pages for human readers, it extends them to display information in a way that can be read automatically by computers. Structured data denotes the type of data with a high level of organization, like information in a relational database. When information is greatly structured and expectable, search engines are more easily able to organize and show it in creative ways. 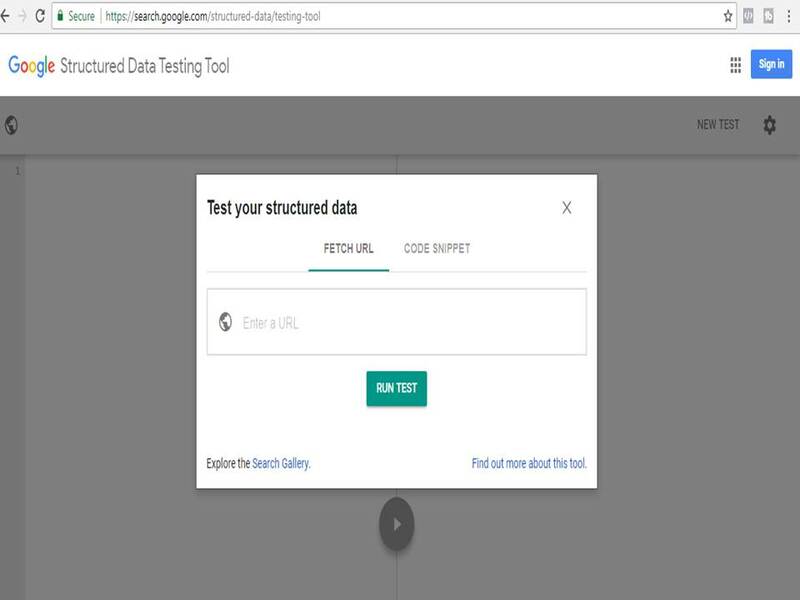 Structured data markup is a text-based organization of data which is incorporated in a file and served from the web. It usually uses the schema.org vocabulary—an open community effort to promote standard structured data in a range of online applications. 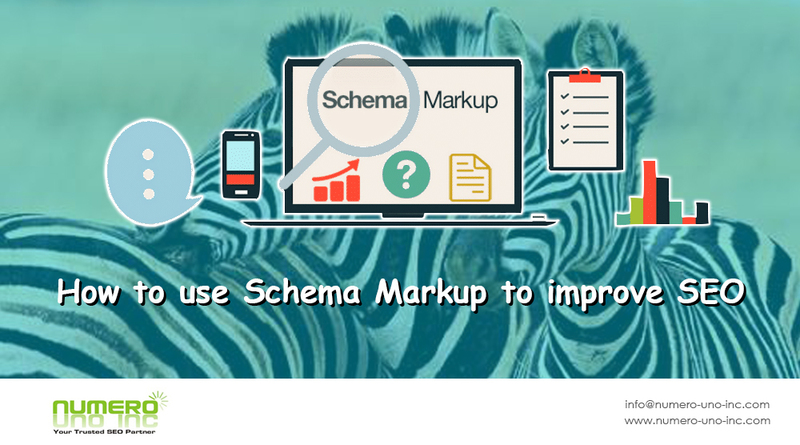 Schema markup is code (semantic vocabulary) that you insert on your website in order to help the search engines return more informative results for users. Step 1: Let’s create Brand Organization Schema. Step 2: Fill in information regarding your organization. Step 3: Next click on Create Organization Codes. 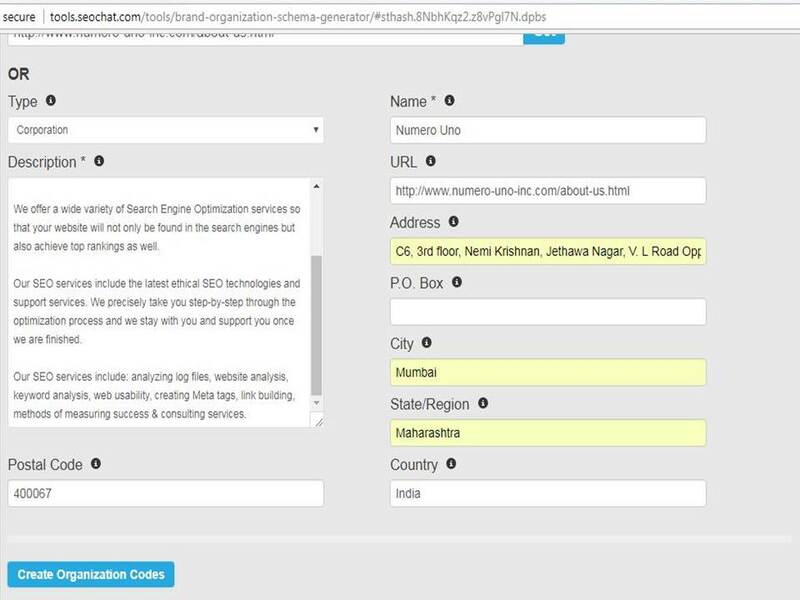 You will get the Schema Markup for your organization. Step 4: Place this code in your organization’s About us page. If everything is displayed normally without any errors, that means you have successfully created schema markup for your organization. Similarly you can create Event, Product, Video, etc. 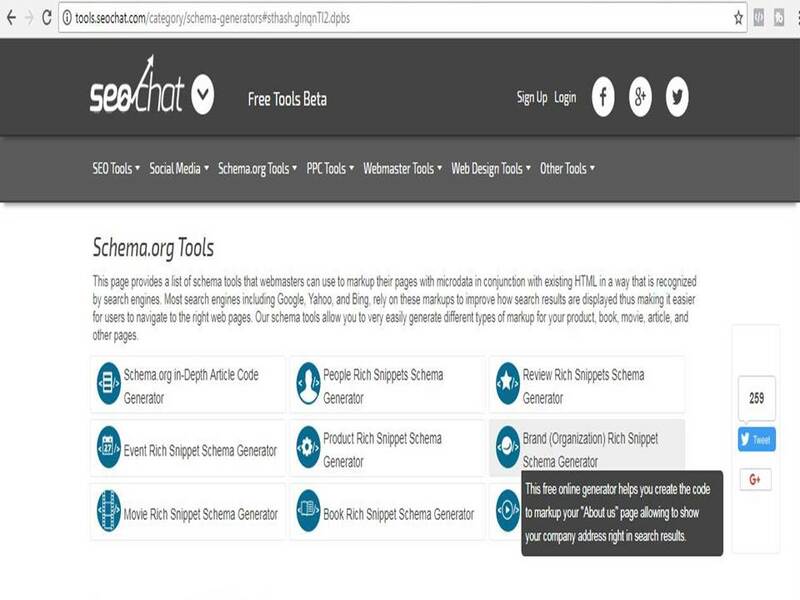 schema for your business by using this online tool. Do share your comments at info@numero-uno-inc.com. This entry was posted in Schema Markup, SEO and tagged schema markup. Bookmark the permalink. Hey glad that found this information useful.